Always Best Care of Alamance-Guilford combines national strength and standards with local accessibility and personal service. We specialize in providing personalized, non-medical care for seniors who wish to remain in the comfort of their own homes. With a large team of Certified Nursing Assistants & Trained Caregivers, our talented staffing coordinators will work to find you the perfect care giving solution in a timely manner. We quickly arrange a schedule that works for you - hourly, overnight, or live-in. Each client has an individualized care plan which ensures that they receive consistent high quality care and services that allow them to safely remain their own environment. All of our caregivers have passed through our rigorous screening process and are bonded, insured, background checked and drug tested. For those that are interested in senior housing options, we can help you with our complimentary assisted living placement service. There's no charge for a complimentary care consultation or for independent or assisted living placement services. We can help you or your loved one live more safely and comfortably at home. For those who would like to live in a seniors' community, we can help to select an independent or assisted living community at no cost that will best suit the senior's needs and budget. We're here to serve your needs and we can help. Employees are our own - no contractors | Caregivers are thoroughly screened, trained and insured | Free assessments and community referral services | No hourly minimums or contracts. Yes. When it comes to choosing home care in the Alamance-Guilford region, it's critical that you find a caregiver you can trust completely with your loved one. Providing the best care possible means making sure our senior caregivers are bonded, insured and covered by Worker's Compensation. Every senior care provider on our team is an integral employee of Always Best Care, which means that you can always trust them to do what's right and in the best interest of your loved one. We strive to provide the best home care in Burlington and throughout Alamance-Guilford, Person and Caswell County communities such as Elon, Graham, Milton, Whitsett, Roxboro and many more! That's why we work so hard to ensure that every caregiver on our team is not only a trained professional, but has the integrity and character necessary to represent our high standards when they care for your loved one. Every senior caregiver must go through a rigorous and thorough vetting process before hiring. This entails a criminal background check, drug screening and a comprehensive evaluation of references and past work history. Seniors who require in home care in the Alamance-Guilford area need to know that help is available at all times throughout the day. 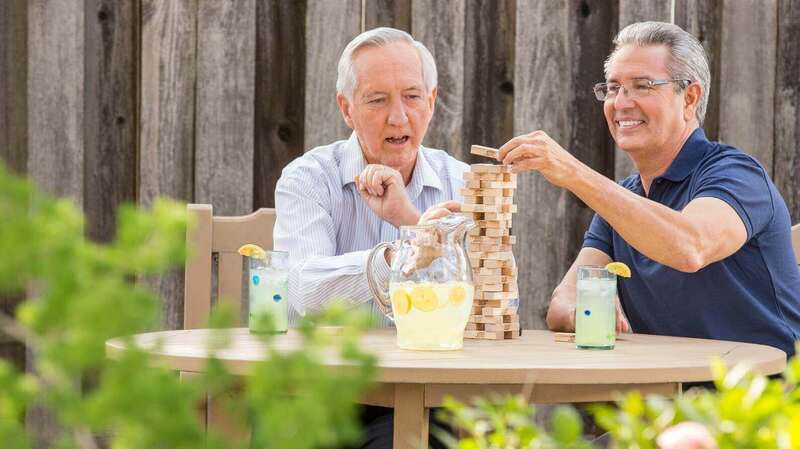 Every senior has unique needs, the care for which should not be constrained to limited hours. Always Best Care's caregivers are available 24 hours a day, seven days a week, and our scheduling experts work directly with families to ensure that seniors never need to worry about receiving care when they need it. Yes, in many circumstances. However, illness, scheduled time off and other factors may necessitate temporary substitution. Additionally, if your loved one requires care at different times of day or for many hours at a time, it will be necessary to schedule multiple caregivers. One of the most crucial aspects to providing quality senior care in Burlington and other communities in Alamance-Guilford, Person and Caswell counties is consistency. Seniors become accustomed to trusted, loving family members who provide compassionate care, and they learn to count on having things done a certain way. We strive to ensure that our caregivers earn that level of trust. This is done through a comprehensive matching process, which allows caregivers to build strong relationships with the seniors to whom they provide care. The proper fit is a significant aspect of the in home caregiving process, which is why we work hard to make ideal matches between seniors and their caregivers. At Always Best Care of Alamance-Guilford, we know our diverse team of caregivers well, and understand what makes them unique as individuals. This allows us to take into account your senior loved one's preferences, likes and dislikes in a way that matches them perfectly with the right provider. And if we don't get it exactly right the first time, we'll reevaluate to ensure that your special senior receives the proper care from the perfect individual. Every senior caregiver on our team receives extensive training upon hiring in addition to ongoing training to ensure that they are kept up to date with the latest standards and techniques in our industry. Our in home caregivers are trained on communication, activities planning, recognizing symptoms of illnesses, safety and a number of other issues that are pertinent to providing the finest senior care in the Alamance-Guilford region. Home care providers can be found in a number of places, with many offering services and prices that seem too good to be true (and probably are too good to be true). Sure, you can find independent caregivers that would seem to save you time and money by cutting out the "middle man," but you can never be sure that they can be trusted with your loved one - they simply can't be held to the high standards of excellence that are required of the caregivers on the Always Best Care team. Our compassionate senior caregivers are fully vetted, insured, bonded and kept up to date with the latest training, so you know you can trust them to provide the finest senior care in Burlington and throughout the Alamance-Guilford region. If you are concerned about the time it takes to get the ball rolling on receiving senior care for your loved one, you may be surprised by how quickly Always Best Care can match you with a compassionate caregiver. The process of matching a caregiver with your senior loved one is a thorough and comprehensive one, but thanks to our experience, expertise and ability to attract the best caregivers in the Alamance-Guilford area, your loved one can expect to receive home care services within a week of making your first call to us. When selecting the right in home care provider in Alamance-Guilford, Caswell and Person Counties, you may be overwhelmed by the sheer number of choices that are available for your loved one. We can't speak to the effectiveness, safety and reliability of other senior care providers in the region, but we proudly stand behind our record of offering compassionate care that seniors in our area - and their family members - can count on. If you're skeptical about the tremendous quality of service we offer, we urge you to schedule a free consultation with us. Safety is an essential cornerstone of providing the best in home senior care in the Alamance-Guilford area. Our caregivers are trained on the most up-to-date safety procedures, and they receive ongoing instruction to ensure that they always know how to keep your loved one as safe as possible in the home, while running errands or performing household chores. They can also take steps to make sure that your loved one's home is free from the hazards that can lead to falls, accidents and other mishaps. No! It's important to us here at Always Best Care that families have access to the finest senior care available in the Alamance-Guilford region, so we do not require you to agree to receive a certain number of hours or a minimum tier of services. We mold our services to the needs of your loved one. Nothing more; nothing less. Alzheimer's Disease and other forms of dementia affect millions of seniors across the country and right here in Alamance-Guilford. We recognize the unique and specific needs of those who suffer from these diseases, and our caregivers are well trained to assist families when it comes to ensuring the greatest comfort, care and ease of living. Alzheimer's Disease and dementia present challenges that can seem impossible to overcome, but our in home caregivers are able to provide the specialized care that loved ones like yours require. Our parents are 86 and 85. My father was hospitalized in August, and thereafter spent six weeks in a rehab facility. When he came home, he, my mother and my brothers and I met with Joanne Pizzuto the afternoon that he arrived, to talk about in-home care. Although our parents were resistant to it ("We don't want someone else living in our home! "), by early December it became necessary due to some injuries suffered by our mother which rendered her incapable of caring for our... father herself. Joanne was there every step of the way, providing invaluable assistance to us through the entire process of getting an excellent caregiver in the home, and then guiding us through the process of locating and selecting an appropriate assisted living community for our parents in short order. The day that they moved in to the community, their ABC caregiver was there at every step, providing assistance. Although both of our parents were initially dead-set against having a caregiver live in their home, they both were shedding tears when she said her good-byes. They came to truly appreciate everything that she had done for them, and they actually developed an emotional bond with her over the three weeks that she was caring for them. We could not have gotten through everything that confronted us over the past few months without Joanne and her fine company. We would recommend ABC to anyone without reservation. You will not find a more caring, diligent and knowledgeable group of people than ABC. We will be forever grateful for them. Very knowledgeable, helpful and caring staff. ABC Is fantastic. Staff listens to your needs, makes suggestions, then makes a determined effort to fulfill them. They make you feel comfortable during stressful transition. Caregiver assignment is carefully considered for the situation. They also try their best to quickly accommodate. Great team to work with and very involved in making Alamance County a premier area to live, work, and retire!